A gunman stormed into a Baptist church during Sunday morning services and killed at least 26 people. US President Donald Trump condemned the Texas church shooting, calling it an "act of evil"
Tokyo: US President Donald Trump on Monday condemned what he described as a "horrific shooting" and pledged the full support of the federal government after 26 people were killed in a rampage at a Texas church. "This act of evil occurred as the victims and their families were in their place of worship. Our hearts are broken," Trump said on a visit to Japan. "We pull together, we join arms ... through the tears and the sadness we stand strong," added the president, addressing business leaders on day two of his Asian trip. The shooter, whose motives were not immediately clear, was dressed all in black and wearing a ballistic vest, authorities said. Though officials did not identify the gunman, multiple media outlets named him as Devin Patrick Kelley, 26, adding that he had been dishonorably discharged from the Air Force. He was also found dead after the assault. Trump pledged his administration would provide "its full support to the great state of Texas and all local authorities investigating this horrible crime". "We cannot put into words the pain and grief we all feel," added the president. 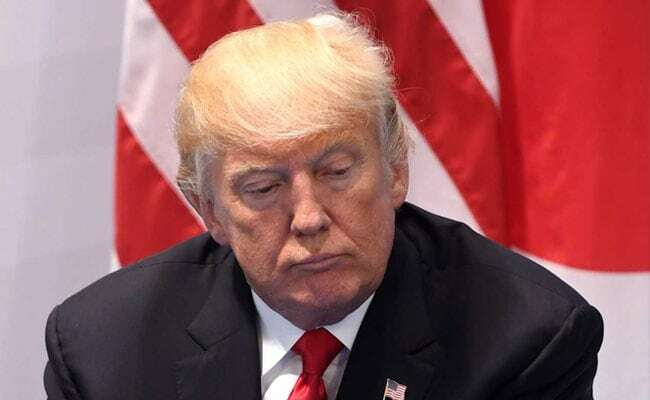 Trump's host, Japanese Prime Minister Shinzo Abe, tweeted his "deepest condolences", saying: "I wish to express heartfelt solidarity with the people of the United States during this difficult time." He added: "My thoughts are with those who suffered injuries in the incident."